Dulag Luft was the first stop for most United States Army Air Force Personnel captured in German occupied Europe. Newly arrived POWs were usually told "Vas Du Das Krieg Est Uber" - "For You the War is Over." Hardships, suffering, deaths, illness, etc., in subsequent POW camps, proved that our POWs were very much a part of the war until their 1945 liberation. POW Strength: From 1,000 per month in late 1943, to an average monthly intake of 2,000 in 1944. The Peak month was July 1944 with over 3,000 Allied Airmen and paratroopers. Since solitary confinement was the rule, the capacity of the camp was supposedly limited to 200 men. Strength on any given day averaged 250. 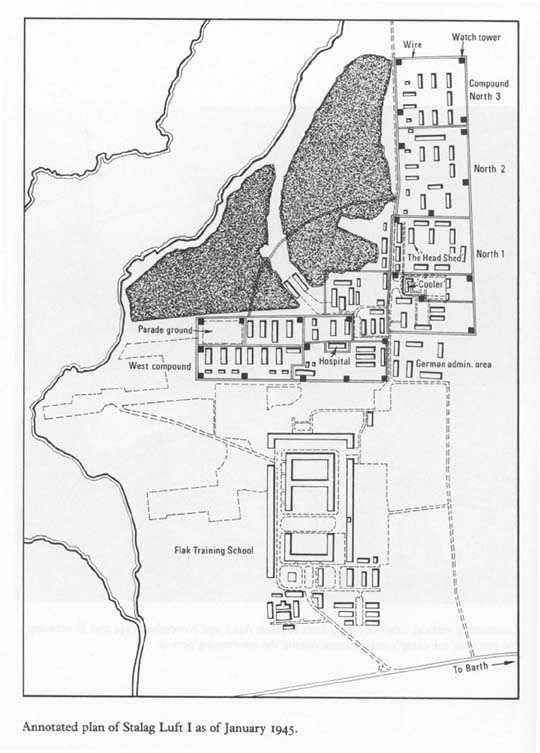 Camp Description: The camp had four large wooden barracks. Two of the barracks contained about 200 cells eight foot high, five foot wide wide and twelve feet long. Each cell held a cot, table, chair and an electric bell for the POW to call a guard. The third barrack contained the administrative headquarters. The fourth barrack, an L-shaped structure, held the interrogation offices, files and records. The camp was surrounded by a barbed wire fence and the perimeter was not equipped with floodlights or watchtowers. Interrogations: Each prisoner was held in solitary confinement for a limited period of time - usually four or five days. During rush periods as many as five men were held in a cell. The interrogators used various methods in an effort to obtain operational information from the captured airmen. Most POWs gave only the information required by the Geneva Convention - Name, rank and serial number. After interrogation the men were sent to a transit camp and then to their established POW camp. Liberation: On 25 April 1945 American troops overran Oberursel. The camp had already been vacated by German personnel and records destroyed or moved elsewhere. Location: At Barth, Germany - A small town on the Baltic Sea 23 km northwest of Stralsund. Opened: Near the end of 1942 as a British Officer POW camp. Closed in April 1942 with British Officers moved to other POW camps. Reopened in October 1942 with transfer of 200 RAF NCOs from Stalag Luft III. In early 1943 a small number of American POWs fluttered into the camp from time to time. By the end of 1943 American POWs flowed into the camp at a constant rate. They were initially held in the South Compound but this was eventually combined with the West Compound. POW Strength: Held 5076 American Officers by January 1944, 3,463 in April 1944 and 7,717 and 1,427 British POWs at the time of liberation in April 1945. South Compound: Opened in 1942. Had very inadequate cooking, washing and toilet facilities. West Compound: Opened in 1942 - Had inside latrines and running water in the barracks. North 1 Compound: Opened in February 1944. Formerly housed Hitler Youth personnel. Had a communal mess hall, inside latrines and running water taps. North 2 Compound: Opened on 9 Sept 1944. Constructed similar to the South Compound. North 3 Compound: Opened on 9 Dee 1944. Constructed similar to the South Compound. See photographs of Stalag Luft 1 taken by prisoner 2Lt George W. Luke (303rd BG). 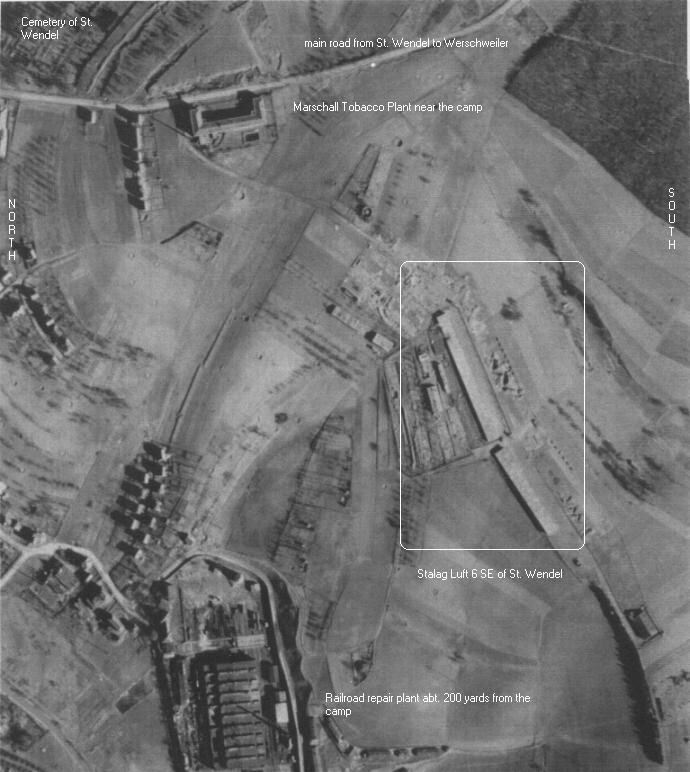 See photographs of Stalag Luft 1 taken by prisoner 2Lt Robert H. Palmer (301st BG). POW Strength: Camp held over 11,000 Allied Officer airmen when it was evacuated in January 1945. American strength was 6,844 - the largest American officers' camp in Germany. 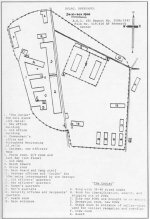 Camp Description: The camp had six compounds - Three used for American officers (South, Center and West) and three for R.A.F. Officers (including East & North). Each compound had fifteen one story wooden hutments to house prisoners. Barrack rooms were about 10 x 12 feet. The fifteen men in each room slept in five triple-decked bunks. In one corner was a wood or charcoal burning stove. A high wire fence surrounded the buildings. A few feet inside the fence was a low strand of wire - the warning wire. Guards were permitted to shoot any prisoner crossing the warning wire. Guard towers, equipped with powerful searchlights were placed at strategic locations along the fences. Armed guards with police dogs patrolled the interior and exterior perimeter of the camp. 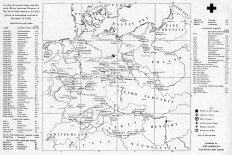 Escape attempts: Escape attempts were started soon after Stalag 3 was established and reached a scale that was hardly reached by any of the other German POW camps. 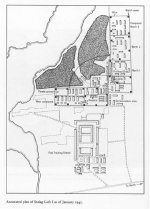 Numerous tunnels were started in the East and Center compounds and eventually in the North (British) and South (American) compounds. Most were soon discovered by the Germans. Almost everyone in all compounds were involved in one way or another in escape attempts. The major escape took place in the North (British) compound on 24 March 1944. It became known as "The Great Escape." A tunnel 336 feet in length, 30 feet below ground level, was constructed. Eighty prisoners made their way out and only three made it back to Great Britain. The rest were recaptured. Fifty of the escapees were executed by Gestapo firing squads. Stalag 3 Sagan Evacuation: Russian troops were approaching Sagan, Poland. At 11:00 PM on 27 January 1945 Germans marched the POWs out of Stalag 3 with Spremberg for their destination. The exodus was harrowing to POWs of all compounds, especially to those of the South Compound who made the 55 kilometers from Sagan to Muskau in 27 hours with only 4 hours sleep. At Muskau they were given a 30 hour delay for recuperation and then marched another 25 km to Spremberg. On 31 January the South Compound men plus 200 men from the West Compound went to Stalag 7A at Moosburg in rail "forty-and eight" boxcars packed 50 men and 1 guard in each boxcar. The trip took two days and two nights. On 7 February the men from the Center Compound joined them. 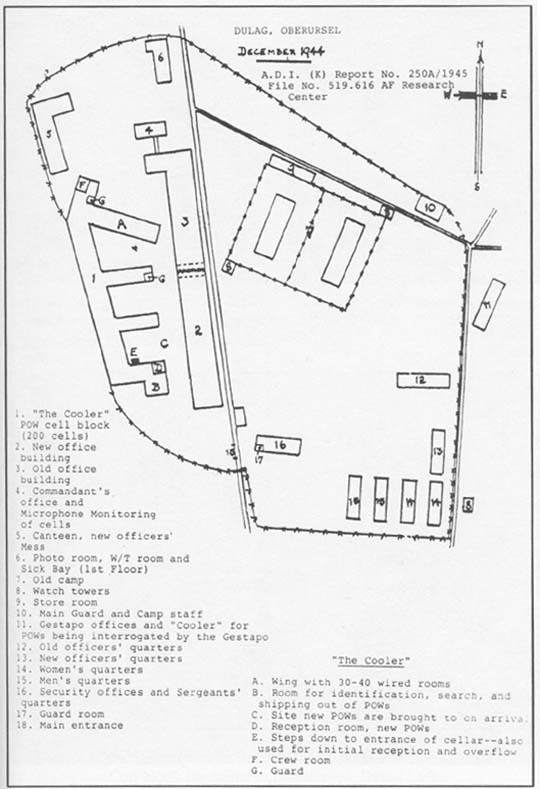 The North Compound fell in with the West Compound at Spremberg and on 2 February entrained for Stalag 13D at Nurnberg, which they reached after a two day trip. 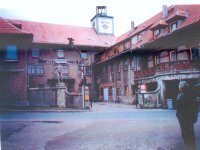 On April 13, 1945, after an approximate three month stay, the Americans were told that they must evacuate Stalag 13D and march to Stalag 7A at Moosburg. The main body reached Stalag 7A on 20 April 1945. Many POWs dropped out of the march en route to Moosburg and the German guards made no serious attempt to stop them. The POWs were liberated by General Patton's 14th Armored Division on April 29th. Stalag Luft III - South Compound Ledgers: Maintained by 360th BS/303rd BG(H) Bombardier 2Lt Ewell Ross McCright, MIA on his 3rd combat mission, 23 January 1943 in B-17F #41-24567 Beats Me (360BS) PU-J, 1Lt Joseph E. Haas Crew (7 KIA 3 POW). After capture Lt. McCright was placed in Stalag 3 - South Compound and became very despondent.. The American Security head of the South Compound assigned McCright the task of maintaining records of all American POWs in the camp and of each new arrival. The job proved lifesaving to McCright as it kept his mind and hands busy. The detailed ledgers, ultimately containing names of over 2,100, including thirty 303rd BG(H) crewmen, were hidden from the Germans and would have resulted in his execution if they had been discovered. They were discovered on one occasion and he pointed to the ledger title page which stated that the records contained the names and addresses of dead flying comrades. The discovering guard did not look further into the ledgers but returned them courteously and respectfully to McCright. Later, another search party discovered the ledgers but were returned for a package of American cigarettes. McCright presented the four volume set of ledgers to American Authorities after his liberation. They were stamped "Top Secret" and were eventually flown out of Germany. They proved helpful to the War Department post war searches for casualty records and veterans proof of injuries. Lt McCright obtained his ledgers after the war and after his death on 24 April 1990 they were forwarded to Arnold A. Wright in his hometown of Benton, Arkansas. Mr Wright published the ledgers in a limited edition 1993 book "Behind the Wire, Stalag Luft III, South Compound." In October 2004 Lt McCright's unselfish efforts were rewarded with the Legion of Merit medal. It was presented to his sister, Marie Hall, by Major General Lewis E. Lyle (retired) at a ceremony in Benton, Arkansas. More information is avaible in the February 2005 Hell's Angels Newsletter. POW Strength: On 18-19 July 1944 the number of prisoners was doubled with the arrival of 2,400 American and 800 British from Stalag 6 at Heydekrug, Germany. 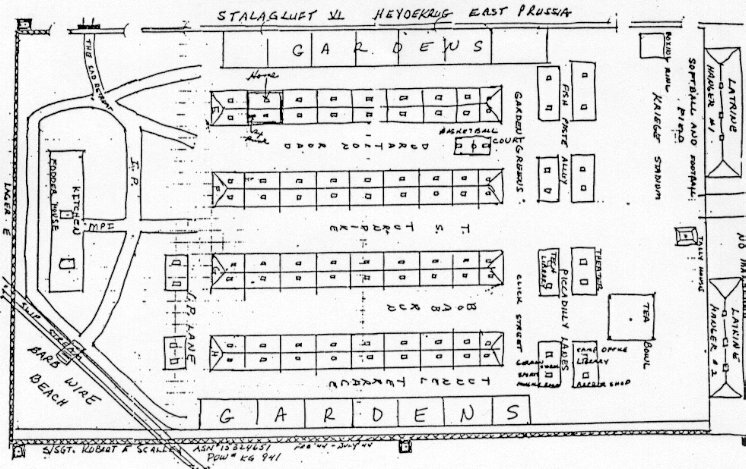 (See Stalag 6 story - The Evacuation of Stalag 4 - The "Heydekrug Run"). In October 1944 there were 7,089 American and 866 British prisoners. Camp Description: Five compounds separated by barbed wire fences. 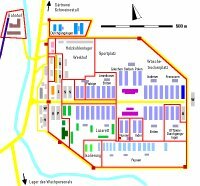 The main camp (Vorlager) included the infirmary, food and clothing storerooms. Compounds (Lagers) A, B & C contained Americans only. Compound D contained Americans and British. Men were housed in wooden huts, each hut containing 200 men. Most huts had three-tiered beds but some had no beds and men slept on the floor. None of the huts were properly heated. Latrine facilities were inadequate and there were no shower baths. There were two barbed wire fences ten feet high surrounding the camp. Between the two fences was another fence of rolled wire about four feet high. Fifty feet inside the wire fences was a warning wire. Prisoners could be expected to be shot if they crossed the warning wire. Posted at close intervals were armed guard towers with search lights. Guards with dogs patrolled the perimeters. Evacuation and Liberation - the "Death March": On 28 January 1945 a train load (mostly sick and wounded) were taken to Stalag I at Barth, Germany and on 2 February 1945 another train load was taken to Stalag 13D at Nurnberg, Germany. In February 1945 the Russian offensive threatened to engulf Stalag 4. On 6-7-8 February 1945, about 6,000 prisoners were ordered to leave the camp on foot with only a few hours notice. It was a march of great hardship. The POWs, in groups of 250 to 300, were marched long daily distances on starvation rations. The men lived in filth and slept in open fields or barns. Clothing, medical and sanitary facilities were inadequate. Hundreds of men suffered from malnutrition, exposure, trench foot, exhaustion, dysentery, tuberculosis and other diseases. 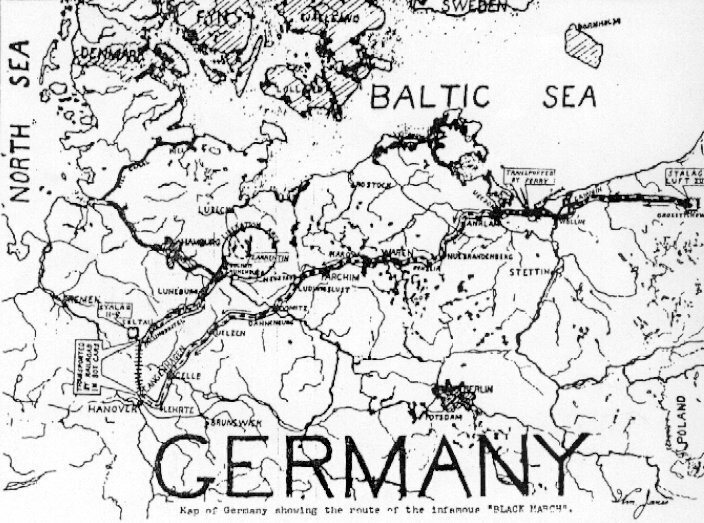 Not all of the Stalag 4 groups traveled the same route or at the same pace. Many of the ill or exhausted prisoners were assisted by stronger prisoners. Some POWs escaped and hid out until they found an Allied unit.The initial portion of the march ended on 30 March 1945 near Hannover, Germany. Men were then transported in box cars to Stalag 2B (a Ground forces enlisted man camp) near Hemerstein. They were then forced to make a second march on April 6th that doubled back on their earlier route. The main column encountered British troops on May 2, 1945. East of Hamburg. The "Death March," from beginning to end, spanned 86 days over an estimated 600 miles. Approximately 1,300 perished from disease, starvation, or at the hands of German Guards. The heroism of these men stands as a legacy to American Airmen and has never been properly recognized. 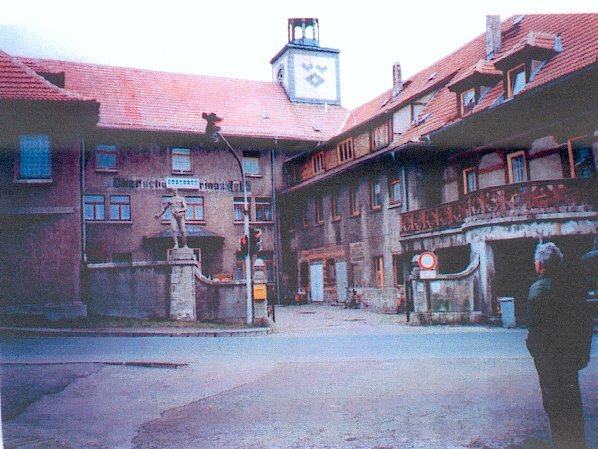 Opened: In September 1943 to admit British and Canadian NCOs who were former POWs at Stalag I at Barth. The first Americans arrived in February 1944. Camp Description: Three Compounds - One American, one British, one Joint American/British. The compounds contained 10 stone brick barracks, each with a capacity of 552 men, and 12 wooden huts each housing 54 POWs. Men slept in double-decker bunks with tables, stools and lockers. With a barracks capacity of 6,168 the camp came to hold 10,400. Many were quartered in tents. The 10,400 figure is believed to have been underestimated. Evacuation of Stalag 6 POWs to Stalag 4 at Gross Tychow, Poland - The "Heydekrug Run": The main American group of 1,500 left the camp in the late afternoon of 14 July 1944. The were transported to the Baltic Port of Memel, a half day train ride. They were then jammed into the holds of two dilapidated coastal coal tramp steamers named "Masuren" and "Itsteburg." The crossing of the Baltic Sea took 48-56 hours with the POWs in the ship holds 3 deep on the floor. After arriving at the German port at Sweinemunde on July 17th, the men were unloaded from the ships and immediately marched to awaiting cattle cars that took them to a rail station near Stalag 4. During the afternoon the POWs shoes were taken from them and they were shackled in twos, hand and foot. The cattle cars carried as many as 55 men plus guards. The relatively short 24 hour train trip lasted until approximately 1:00 PM on July 18th. The POWs, many of them ill and wounded, were then double-timed 3 kilometers through a cordon of guards who used bayonets, rifle butts, and dogs to keep them moving. Some were seriously injured. They had neither food nor water for five days. The next day they were given water and again driven through a gauntlet of armed guards and guard dogs to their new home at Stalag 4 at Gross Tychow, Poland. They were strip-searched and had most of their clothing and possessions taken from them. Another group of British POWs went by train from Heydekrug to their new prison camp. Their stay at Stalag 4 lasted until February 1945. 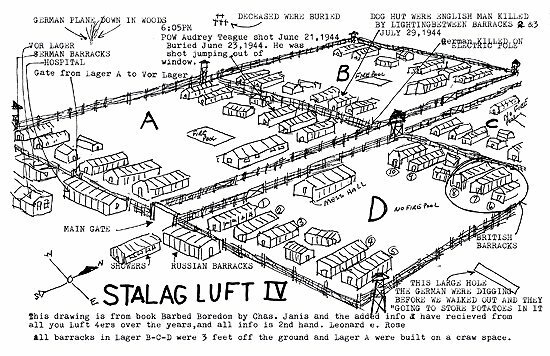 See the Stalag Luft 4 story for the "Death March" that they endured when Stalag 4 was evacuated. Camp Description: In summer 1944, Stalag Luft 6 far away in the East was closed, not only because of complaints from the International Red Cross but also because of the Russian pressure against the Germans along the Russian front. The POWs of Luft 6 were transported to the new Luft 4. Luft 4 opened on May 12. Up to 6500 POWs lived here. Once this camp was full, allied officers were taken to the Luft 1 and 3 like before. Enlisted men were taken to Luft 4 near Grosstychow -- and for five weeks to the brand new Stalag Luft 6 in the west of German Reich at St. Wendel. Location: In Bavaria, 1 km north of Moosburg, 35 km northeast of Munich, in a flat area surrounded by hills. POW Strength: Was the camp for USAAF NCOs until 13 October 1943 when all 1,900 were transferred to Stalag 17B. As Germany collapsed in the spring of 1945, it became the final gathering place for 7,948 officers and 6,944 enlisted men moved in from other POW camps. Camp Description: Camp was a square divided into three main compounds which were subdivided into small stockades. Seven guard towers and a double barbed wire fence formed the camp's perimeter. Nordlager Compound - Held newly arrived POWs for two days while they were searched, medically examined and deloused. Hauptlager Compound - Held POWs of other nationalities - French, Polish, Jugoslav (Serbs), British and some Americans. Barracks were rectangular wood building divided into A & B sections by a central room used for washing and eating. POWs slept on triple-deck wooden bunks with gunny sack mattresses filed with excelsior. Gradually the number of men per barracks increased from 180 to 400. Men slept on tables, floors and on the ground. The barracks had no heat and were damp, cold and unhealthful. Man of Confidence (MOC): S/Sgt Kenneth J. Kurtenbach, 360thBS/303rd BG(H) Tail Gunner, shot down on 12 December 1942 on 303rd BG(H) mission #6 to Rouen, France, became the MOC (Enlisted Man Camp Leader) at Stalag 7A and later at Stalag 17B. He performed invaluable counseling to newly arrived POWs, helped in escape plans and forwarded serious complaints to the German Commanders. He was awarded the Legion of Merit Medal after his liberation. 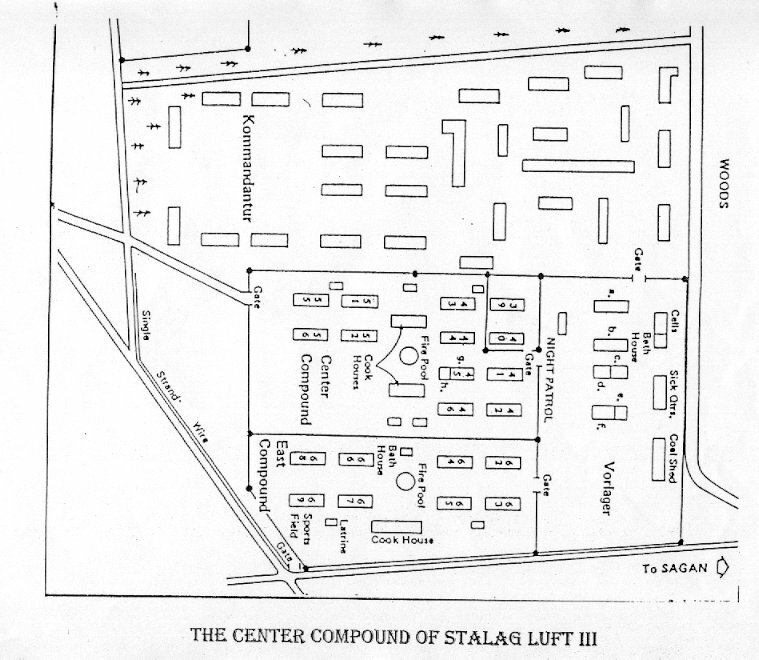 Influx into Stalag 17B from Stalag 3: On 2 February 1945, 2,000 Officers from Stalag 3 (South Compound) reached Stalag 7A. 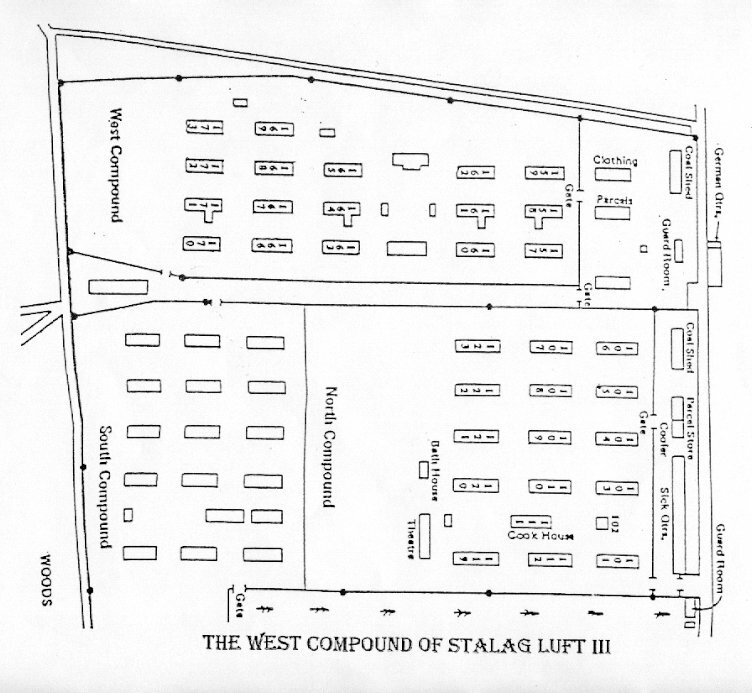 On 7 February 1945, 2,000 Officers from Stalag 3 (Center Compound) reached Stalag 7A. 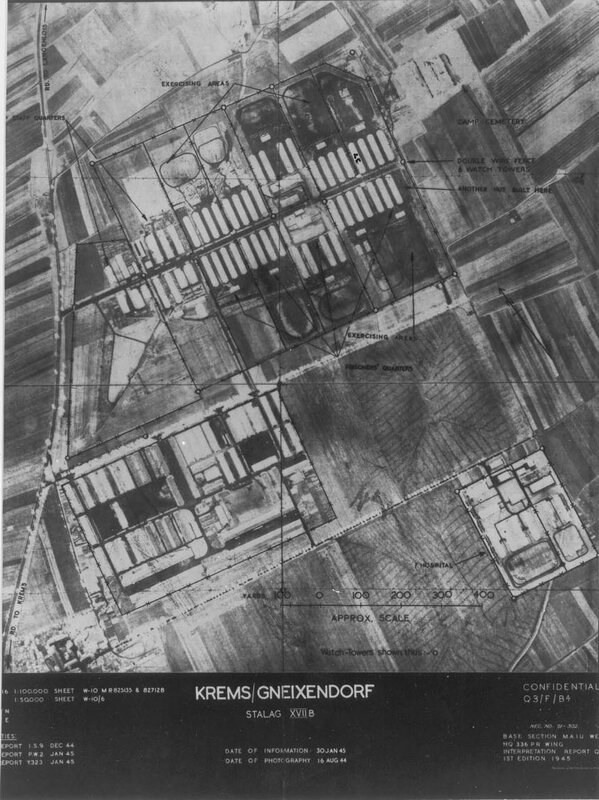 They were placed in the Nordlager Compound and then moved to the main camps. While in the Nordlager Compound no facilities were provided for washing, sanitation, cooking and only straw spread over the barrack floors served as bedding. In the main camp, over 300 men were housed in barracks normally holding fewer than 200. 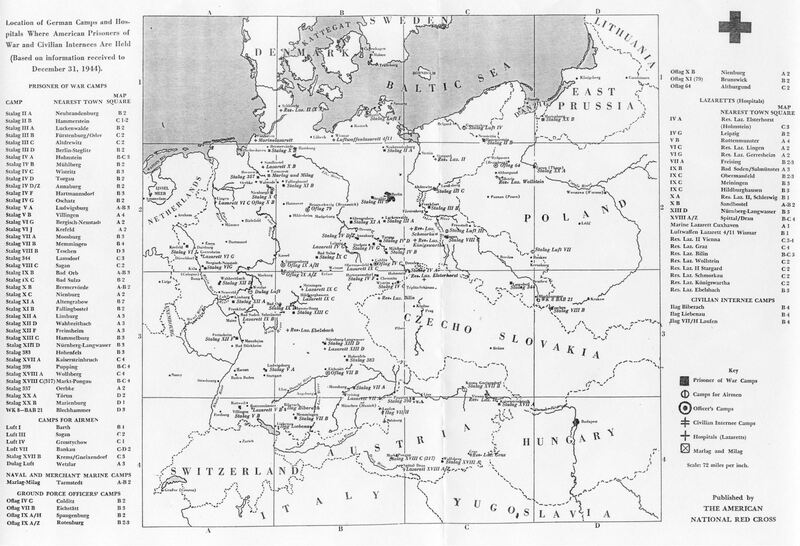 In early April 1945 POWs from other camps throughout Germany evacuated to the vicinity of Stalag 7A. This new influx brought about a period of unbelievable overcrowding and confusion. Members of the former Stalag 3 South Compound were moved into the enclosure occupied by men from the Stalag 3 Center Compound. 4,000 men then lived in an area that had been unable to support 2,000. Large tents were erected in whatever space was available and straw was provided for bedding. 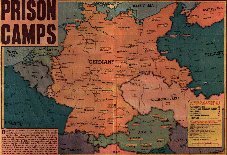 Liberation: On 19 April 1945 selected men from Stalag 7A drove in an American Red Cross car to the American lines asking that an area of a few kilometers around the Moosburg area be declared a neutral zone. The proposal was rejected by the American Commanding General and a 2 1/2 hour war for Moosburg started. Several shells hit one of the camp barracks injuring 12 guards and killing one. On 29 April 1945 Combat Team A of the 14th Armored Division appeared at the camp entrance. The unresisting guards were disarmed and the camp was liberated. The American flag went up at Moosburg at 12:15 PM. At 1:45 PM jeeps and tanks rolled into the camp and received a deafening ovation. Opened: Originally built to house delegates to Nazi Party Gatherings. Became an Italian POW camp prior to the arrival of the Americans in February 1945. Camp Description: The camp was in terrible condition when the Americans arrived. Sanitation was almost non-existent. Everything was infested with lice, fleas and bed-bugs. Men slept on the bare floors - each had two filthy German blankets. The barracks were not heated. Latrines were inadequate. Showers were available once every two weeks. 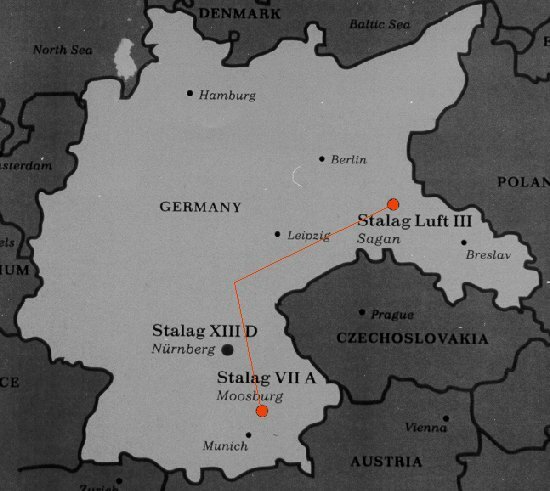 Evacuation from Stalag 13-D to Stalag 7A: On 3 April 1945, after an approximate three months stay, the Americans were told that they must evacuate Stalag 13D and march to Stalag 7A at Moosburg. The Germans accepted the American plan to organize the evacuation and to march no more than 20 km per day. On 9 April the column reached the Danube River. Many POWs began to drop put of the march and guards made no serious attempt to stop the disintegration. The main body of the column reached Stalag 7A on 20 April, 1945. The POWs were liberated by members of General Patton's 14th Armored Division on April 19th. On May 1st General Patton visited the prisoners. A few days thereafter, the POWs departed Moosburg and were transported to Straubing where they boarded C-47s. POW Strength: Began receiving French and Polish prisoners in 1940. On 13 October 1943 it received 1,350 American NCOs who were transferred from Stalag 7A at Moosburg. Stalag 17B already housed POWs from France, Italy, Russia, Yugoslavia and various smaller nations. On 12 January 1944 the camp held 2,667 American POWs. With a constant stream of NCOs from Dulag Luft, American POWs reached 4,237 at the end of the war. The entire camp held 29,794 POWs of various nations. Camp Description: Camp consisted of 12 compounds, 5 holding Americans and the others Italians, Russians, French and Serbs. Each American Compound (175 x 75 yards) held 4 double- barracks (100 x 250 feet) designed to hold 240 men, but at least 400 were crowded into them after the first 3 months of occupancy. 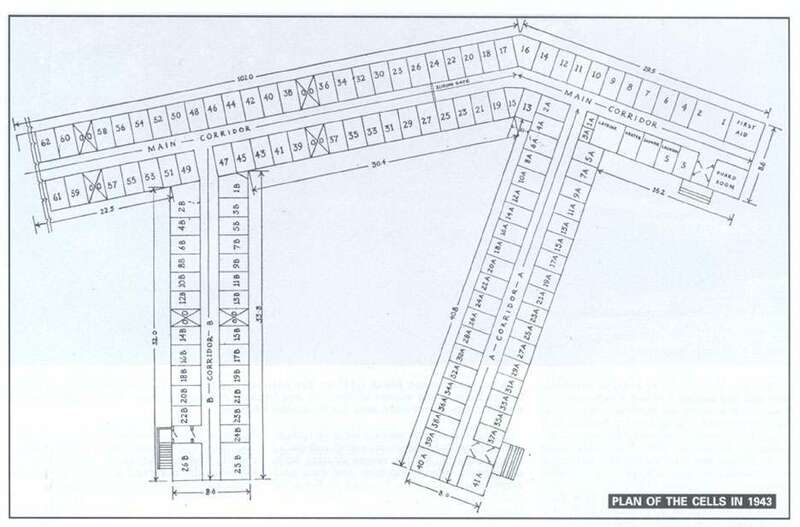 The double barracks were bisected by a washroom with 6 basins. Beds were tripple-decked and most men slept 2 to a bed for added warmth. Each single barrack had a stove to supply heat and cooking facilities for approximately 200 men, but fuel was rationed and insufficient to properly heat the barracks. One outdoor latrine provided toilet facilities for each compound. Each compound has a playing field. Treatment by Guards and administrative personnel was harsh with oppressive restrictions. Treatment in this camp was worse than any other German camp with the exception of Stalag 2B. Two separate barbed-wire fences charged with electricity surrounded the area, Four watchtowers equipped with machine guns and searchlights were placed at strategic points. Man of Confidence (MOC): S/Sgt Kenneth J. Kurtenbach, 360thBS/303rd BG(H) Tail Gunner was the MOC at Stalag 17B from the opening of the camp until its evacuation. He became a POW on 12 December 1942 and was previously the MOC at Stalag 7A. Evacuation and Liberation: On 8 April 1945 4,000 of the Stalag 17B POWs began an 18 day march of 281 miles to a Russian prison camp 4 km north of Braunau, Austria. The remaining 200 men were too ill to make the march and were left behind in the hospital. These men were liberated on 9 May 1945 by the Russians. The marching column was divided into 8 groups of 500 men with an American leader in charge of each Group guarded by about 20 German Volksstrum guards and 2 dogs. The column averaged 20 km each day and were forced to bivouac in open fields regardless of the weather. On 3 occasions the men were quartered at night in cow barns. Food was very scarce. Upon arrival at the Russian Prison camp, the POWs cut down pine trees and made small huts since no housing was available. The grounds and nearby woods were patrolled by roaming guards and few escape attempts were made since it was apparent that liberation forces were in the immediate vicinity. On 3 May 1945 the camp was liberated by 6 men of the 13th Armored Division. They arrived in 3 jeeps and had no problem in capturing the 205 remaining guards. Other units of the 13th Armored Division followed shortly and organized the evacuation of the POWs by C-47s to France on 9 May 1945. Opened: Erected after World War I as a boys' school. Was later taken over by the S.A. and then by the Hitler Youth before it conversion to a hospital. POW Strength: Before the invasion of continental Europe patients were almost exclusively British and American air forces personnel shot down on raids over German Europe. Strength averaged 400, at first preponderantly British. On 5 April 1943 there were 10 Americans and 178 Britons. On 10 March 1945 there were 189 Americans and 254 Britons. Liberation: POWs were liberated at the beginning of April 1945 by American troops.